R0255. 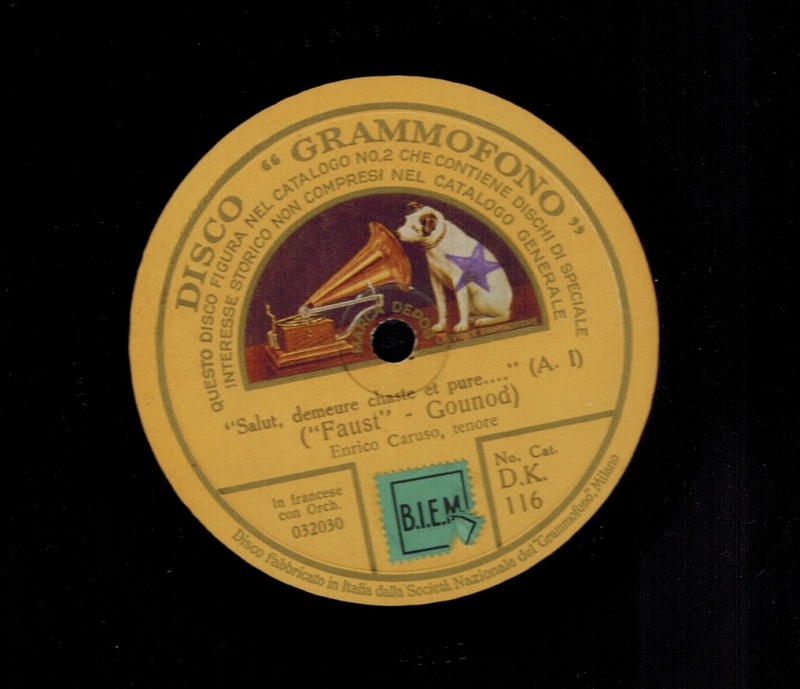 ENRICO CARUSO: FAUST – Salut! 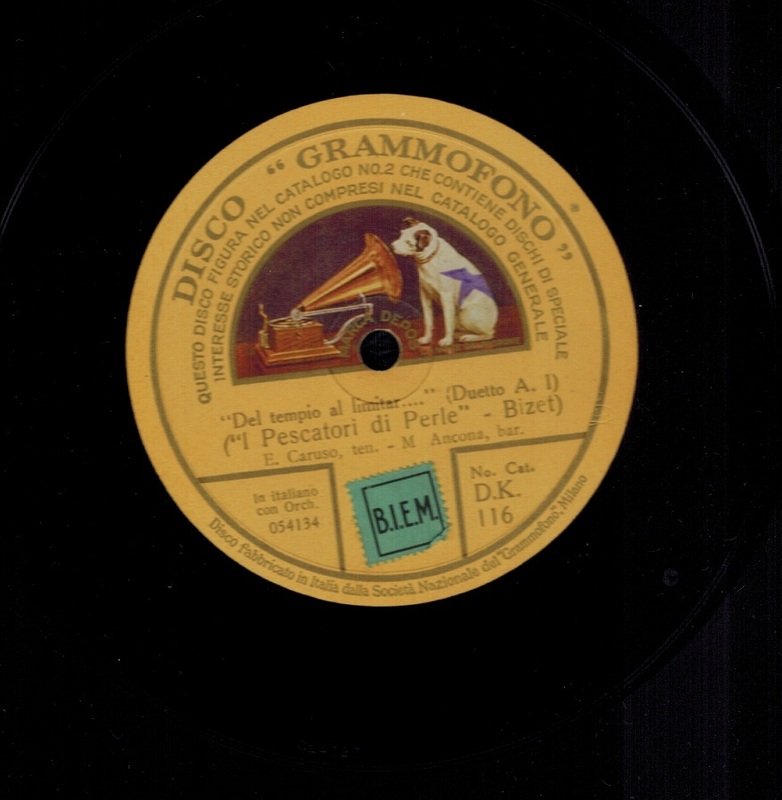 demeure (Gounod) / ENRICO CARUSO & MARIO ANCONA: I PESCATORI DI PERLE – Del tempio al limitar (Bizet). 12” AC PW yellow Disco Grammofono Historic Catalogue #2 DK 116, POM-11 Feb., 1906 / 24 March, 1907. Superlative copy.